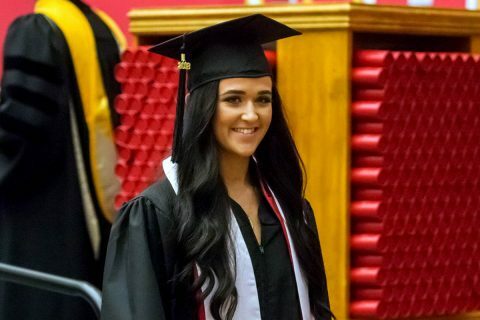 kyle wilson | Clarksville Sports Network - Clarksville Tennessee's most trusted source for sports, including Austin Peay State University. 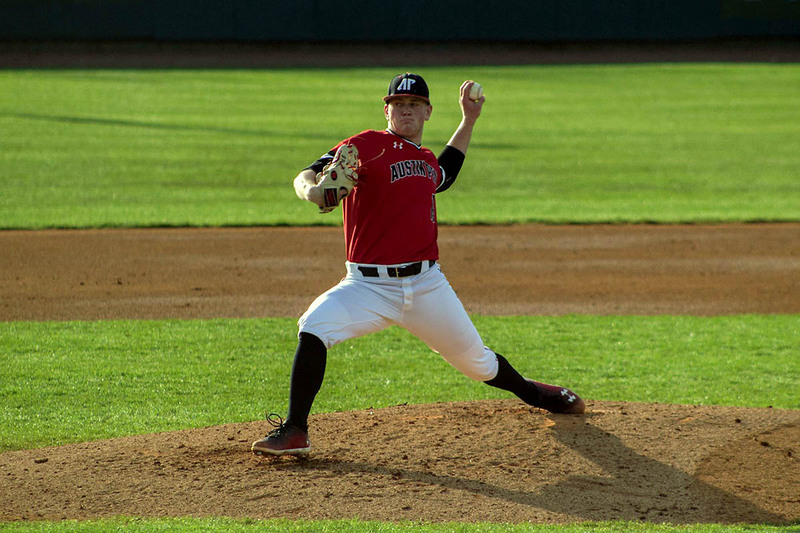 Oxford, AL – Starting pitcher Jacques Pucheu became the third Austin Peay State University pitcher to record 100 strikeouts in a season, but his six-strikeout performance against Eastern Kentucky wasn’t enough in a 5-1 loss in the Ohio Valley Conference Baseball Championship, Wednesday night at Choccolocco Park. Clarksville, TN – Austin Peay’s baseball team makes its third-straight and 26th all-time appearance in the Ohio Valley Conference’s Baseball Championship when it meets Jacksonville State in a 9:00am, Wednesday contest at Choccolocco Park in Oxford, Alabama. Clarksville, TN – The Austin Peay State University Baseball team regular season ends this week when APSU hosts Eastern Illinois in a three-game Ohio Valley Conference set, Thursday-Saturday at Raymond C. Hand Park. The three-game set, which can be seen on the OVC Digital Network, is scheduled to begin with a 6:00pm contests both Thursday and Friday. 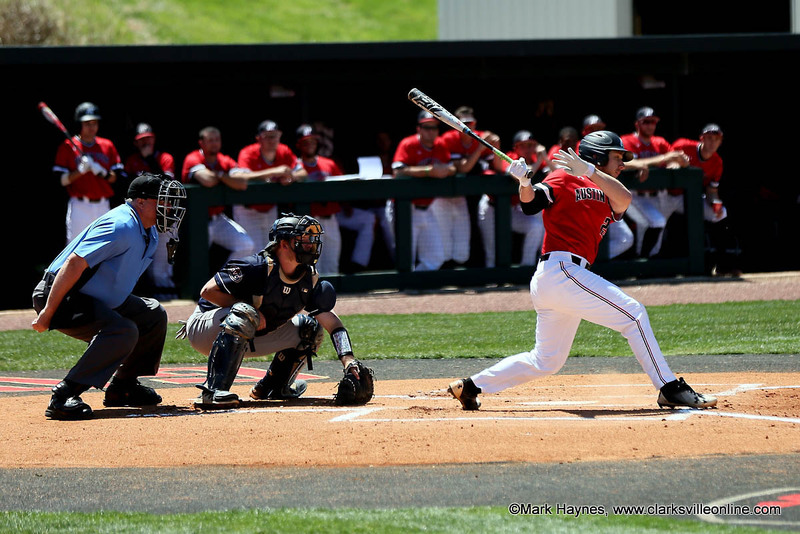 Austin Peay Baseball looks to secure No. 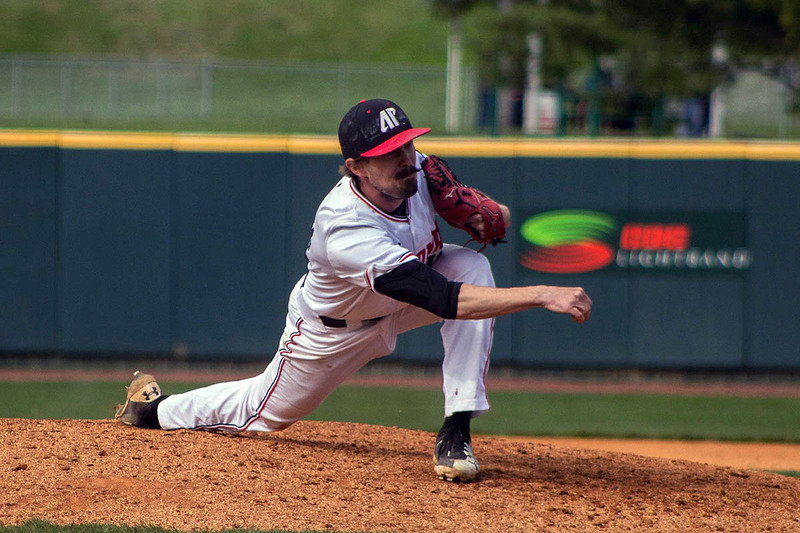 2 seed in OVC Tournament when it hosts Eastern Illinois this week. 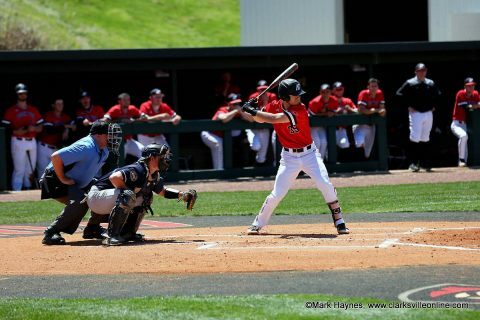 Clemson, SC – Starting pitcher Jacques Pucheu struck out a career-high tying 10 batters, but Austin Peay State University’s baseball team saw nationally-ranked Clemson pull away in its final two innings for a 10-1 nonconference victory, Saturday, at Doug Kingsmore Stadium. 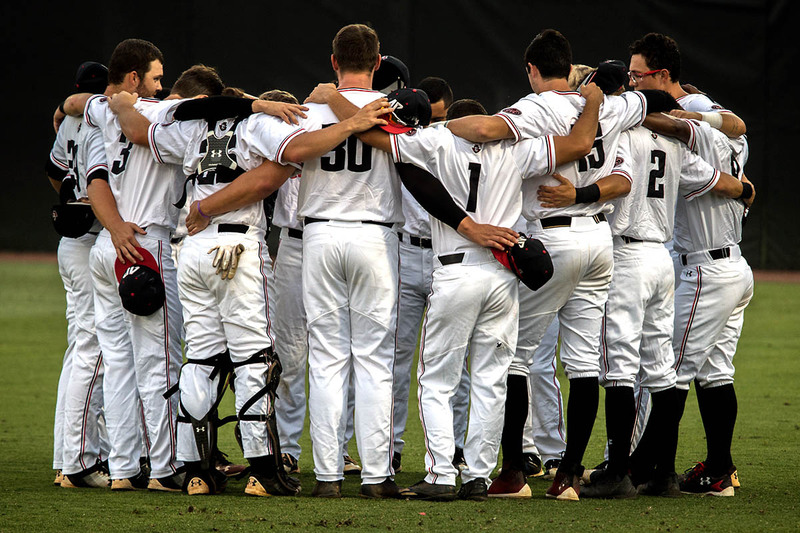 Saturday’s contest started as a pitcher’s duel through six innings with Pucheu nearly matching Clemson starter Brooks Crawford stride for stride. Both starters would make it into the seventh inning with the host Tigers holding a 3-1 lead. 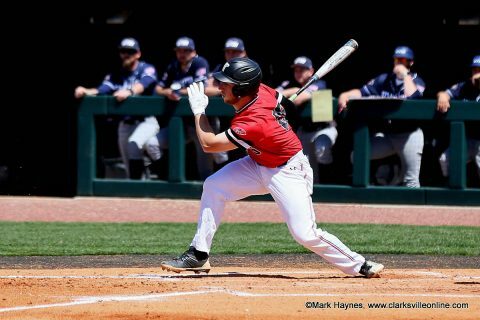 Clarksville, TN – Austin Peay’s baseball team will step out of Ohio Valley Conference play this weekend to face nationally-ranked Clemson in a three-game series at Doug Kingsmore Stadium in Clemson, South Carolina. The three-game set, which can be seen on ACC Network Extra, is scheduled to begin with a 5:30pm (CT), Friday contest. The Governors and Tigers will continue the set with a 3:00pm (CT), Saturday matchup before concluding the series at noon, Sunday. 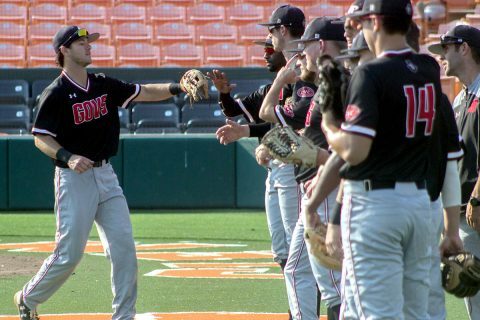 Clarksville, TN – Austin Peay’s baseball team will look to get back on a winning track when it hosts Lipscomb in a 6:00pm, Tuesday nonconference tilt at Raymond C. Hand Park. The Governors saw a season-best five-game win streak halted with a Sunday loss at SIU Edwardsville. 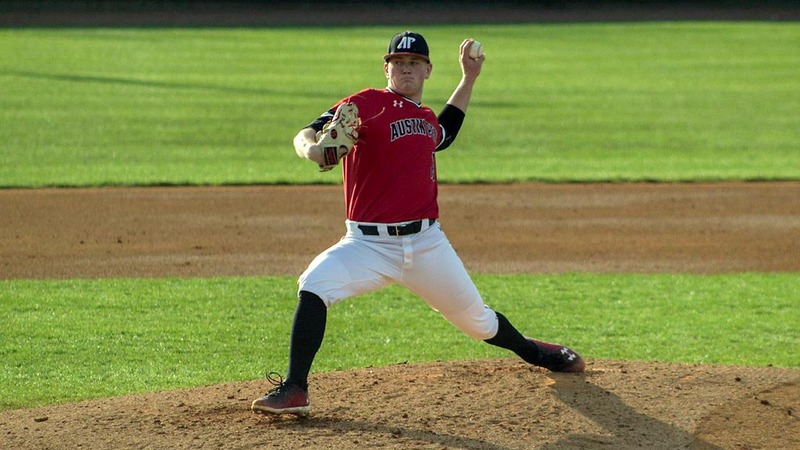 Austin Peay Baseball faces Lipscomb at home Friday at Raymond C. Hand Park. Edwardsville, IL – Austin Peay State University’s baseball team fell behind early and could not catch up, dropping the final game of its Ohio Valley Conference series against SIU Edwardsville, 12-7, Sunday afternoon at Simmons Baseball Complex. Austin Peay (28-20, 17-10 OVC) scored the game’s first run as shortstop Garrett Kueber hit his third home run of the season for an early 1-0 lead. 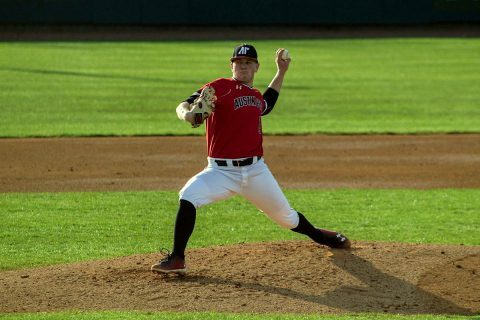 Edwardsville, IL – Starter Jacques Pucheu and reliever Bret Newberg combined for a four-hit shutout as Austin Peay State University’s baseball team secured its Ohio Valley Conference three-game series with a 4-0 victory against SIU Edwardsville, Saturday afternoon at the Simmons Baseball Complex. It is the third consecutive shutout pieced together by the Governors pitching staff, tying a program record set by the 1970 Governors baseball team. Clarksville, TN – Sixty-four Austin Peay State University student-athletes and athletics staff participated in APSU Spring Commencement ceremonies, Friday, at the Dunn Center. 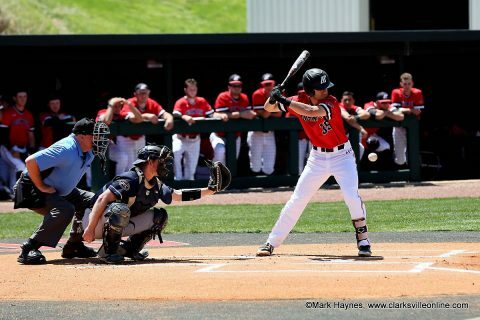 Clarksville, TN – Assured a spot in the 2018 Ohio Valley Conference baseball championship with six league games left, Austin Peay State University’s baseball team continues jockeying for seeding with a three-game OVC set at SIU Edwardsville, Friday-Sunday, at Roy Lee Field in Edwardsville, Illinois. 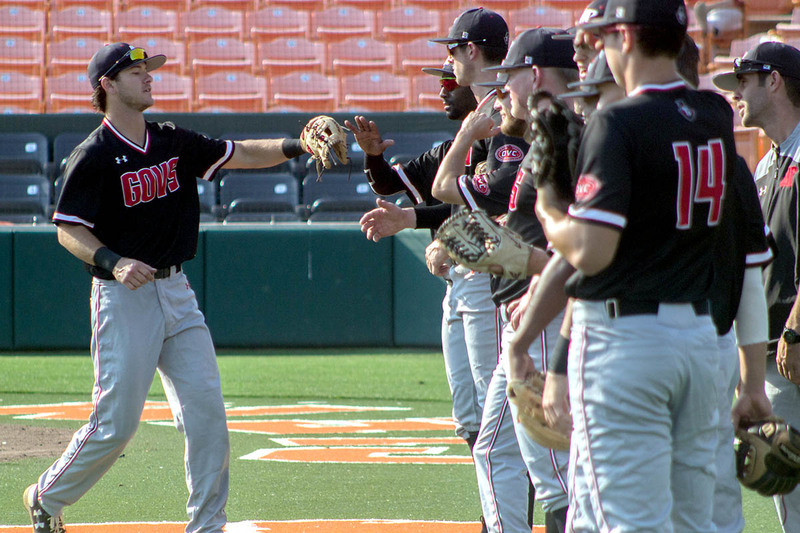 The Govs enter the weekend tied for fourth place with Southeast Missouri but are in a four-team logjam which includes the second through fifth seeds in the upcoming tournament. Austin Peay Baseball tooks to improve it OVC Tournament position heading into weekend series at SIU Edwardsville.